Well Houses in sizes 64"x 64" and 80"x 80" with full walk in doors. Plenty of room to work inside. 80" Tall wall with slab door (regular home looking door with knob $1,100.00. ​For more options, information, and pricing please click here. 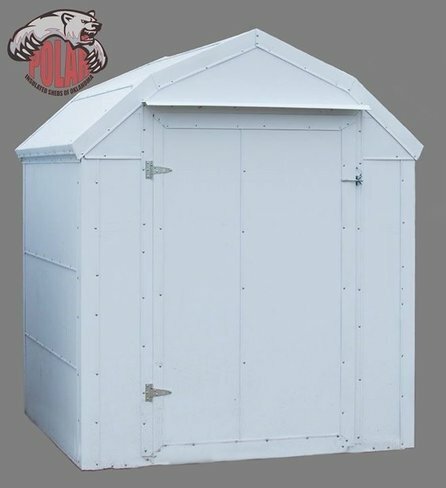 Polar Sheds are quality built insulated metal buildings. An investment in a building that is built to last and requires little to no maintenance while providing protection from extreme heat and cold. They come in various sizes with several options. For more options, information, and pricing please click here.